Dan on OTPbooks.com: “I’m the coach and I’m always right.” What’s he talking about? The air is bad today. We live downwind from the big California fires and the sun is basically blocked out today. Fires plague my family. My brother lost his house in the Oakland fires years ago and nearly lost his home last week. My dad got caught in a home fire and he never really was the same after that incident. My brother, Philip, has really been inspiring with his vigilance in the communities of Northern California. He has a secret identity I shouldn’t reveal, but he spends hours teaching fire safety. And, no one pays attention. People don’t do the little things, like bringing outdoor cushions in (which host embers for a long time) or clear the brush around the house. In so many areas of life, the little things are often more important than the big things. My wife told me that Geoff Hemingway is now finishing his training sessions by giving everyone in the group a floss stick and they floss as a group. Flossing is miles more important than most of things people do for health. Wear your seat belt. Wear a helmet when appropriate. Buy a fire alarm and carbon monoxide detector. Drink water. Eat veggies. I think I do well as a coach, and athlete, by taking mindful care of the details. I show up on time, I have extra shoelaces, and I always pack extra stuff. Rarely is it the rep scheme or rest period that makes a difference in performance: it’s attention to detail. This was on the wall of my kindergarten class. I found some things on the web this week that got me thinking. As readers know, sometimes the non-lifting materials I find give me far more clarity than all the “five sets of three” arguments on forums. This article, well…it turned ugly fast. Frank and his colleagues at the Museum of Bad Art don’t collect the kind of significant ugly paintings that the New York Times might write about or the Met might display. Instead, Frank uses his aesthetic judgment to choose works that feel compelling. “I reject anything that is uninteresting,” he says. “Uninteresting work is unacceptable. If something is silly or if it was made cynically in an attempt to get into the Museum of Bad Art, then I’m not interested.” He’s also not interested in kitschy pieces or commercial art, like black velvet paintings or taxidermy sculptures. I can’t stand watching myself on video. I, far too often, say “you know.” You know? This article gives some ideas to get this annoying habit on hold. I often talk about “falling in love with the plateau,” knowing there is a great leap coming in the future. This article explains this very well. Allow yourself adequate time on each plateau. It is very important to allow yourself enough time to “get comfortable” at each new step. Don’t push too hard or move too quickly to the next step. Habits take time to consolidate, both physiologically and psychologically. In the case of weight loss, what is really happening is that your hormones, enzymes, and other modulators of metabolism need time to re-balance, to provide the same level of homeostatic control of key energetic variables such blood glucose and fats as they did on the previous plateau. If you are using intermittent fasting to lose weight, you must allow time to up-regulate the catabolic hormones and enzymes so that they can more readily mobilize fatty acids and glucose from storage, keeping your cells and your brain happy. This adaptation can take weeks, and you might be wise to stay on the new plateau for a few months! Similarly, if you are adapting to lifting heavier weights or running faster miles, your body needs time to grow muscle tissue or increase aerobic capacity in response to the newly added stress. These changes are often imperceptible to you, but they are going on “behind the scenes”. To use the river-crossing analogy, allow time to catch your balance before you make the jump to the next boulder! But don’t stay there forever…keep your ultimate goal in mind and make the next move when you feel ready. I’m off to lift. Hopefully, next week I can breathe deeply again. Until next time, keep lifting and learning. 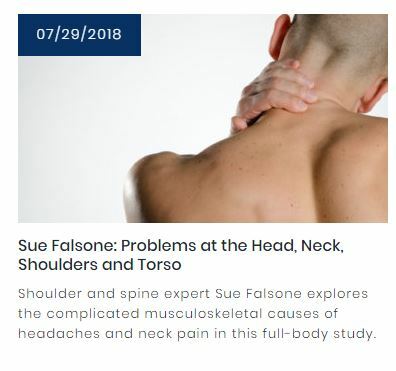 Shoulder and spine expert Sue Falsone explores the complicated musculoskeletal causes of headaches and neck pain in this full-body study. The boys had a way of sliding down a rain-water pipe into the moat, which they could swim on secret occasions when it was necessary to be out at night—to wait for a badger, for instance, or to catch tench, which can only be taken just before dawn. He was sure that Kay would not believe the story, but only call him a liar and get angrier than ever. The Wart turned over on his other side. A black eye will be a major part of this reading. White’s handling of the old traditions of religion is interesting. Most of us who travel to Ireland, and White spent much of his writing career living there, begin to get a sense of the unseen. My neighbor has a hawthorn tree that encroaches into my backyard. In the tradition, the “huath” is the Fairy Tree. We do not cut down the Fairy Tree for fear of the wrath of the fairies. Christianity baptized the tree (that’s how we tend to say this in Religious Studies: when a new faith comes along and takes the old and makes it part of the new tradition, it is called “baptizing” the old tradition) and made it the source of the Crown of Thornes around the head of Jesus. So, these next chapters will have famous names from history, characters introduced earlier in the book and a strange kind of magic. White mentions the tench and the badger here. Both of these are key figures in Wart’s transformation stories; the tench was Merlyn’s fish form and the badger will be Wart’s last mentor as the special magic that Merlyn uses will have run out. Not much will happen in Chapter Nine. We will be setting up the “Middle of the Book:” our next adventure. What leaped out to me as I first set this down was the important role of King Pellinore and the Beast play in connecting the stories and driving the action along. Perhaps because of the Disney adaption, I have always seen Pellinore as a side character providing a bit of humor, but when I stand back, it is obvious that he might have an odd demeanor, he is certainly a key character. Being cursed from birth to chase a Beast in the wilderness might be enough to take the edge off of any of us. The other thing that leaped out to me is that White might have built the story in what we call in Religious Studies a chiasmus or “crossing the X.” It is a method where the story builds up on “one side” then gets reflected, but not repeated on the other. The desert and the tomb are alike in many ways with dangerous creatures and solitude. The stories of Galilee and Jerusalem contrast with everybody coming to Jesus in Galilee and abandoning Him in Jerusalem. The Way connects the story like a keystone in an arch: it holds the story together. I’m going to develop this as we go along. Right now, I have one sticking point (the Owl Transformation doesn’t have an “X” in the first part), but I will find a “way” around this. 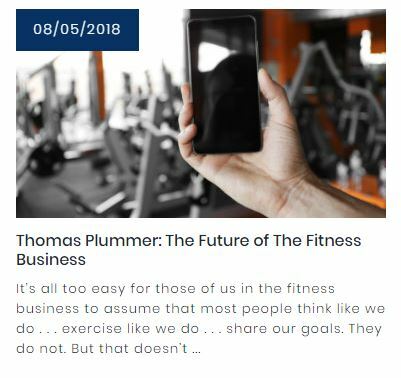 It’s all too easy for those of us in the fitness business to assume that most people think like we do . . . exercise like we do . . . share our goals. They do not.